A successful content marketing funnel moves people from awareness of your product to satisfied customer of your business. It’s a multi-stage process. But think about your own purchasing behavior. Did you start by comparing the prices of two or more existing options? It’s fair to assume that many buyers (you and I included) start the process long before we get to that final choice – we search, we talk to friends and colleagues, we read reviews and a blog post or two (or three or 10). Marketers know this. According to a 2018 study by HubSpot, 61% of marketers stress that generating more traffic and leads is their top priority. But leads and traffic don’t come to our content just to buy something — they come to learn, to educate themselves. This is why having a strong content marketing funnel is vital to your business. A content marketing funnel is also a clear path of return on your content investment. And what business doesn’t want to be able to tangibly reflect ROI on its marketing? Grab our Content Marketing Funnel Worksheet right now to begin crafting a customer journey that grows your business! If you are trying to grow your business through the use of content but having trouble putting a clear marketing funnel together, then this article has you covered. What is a content marketing funnel? Why should you create a content marketing funnel? Let’s start with the most basic thing. A content marketing funnel is a system that introduces new leads to your business through different types of content. These leads are then converted into possible customers by progressively “funneling” them through more types of content. 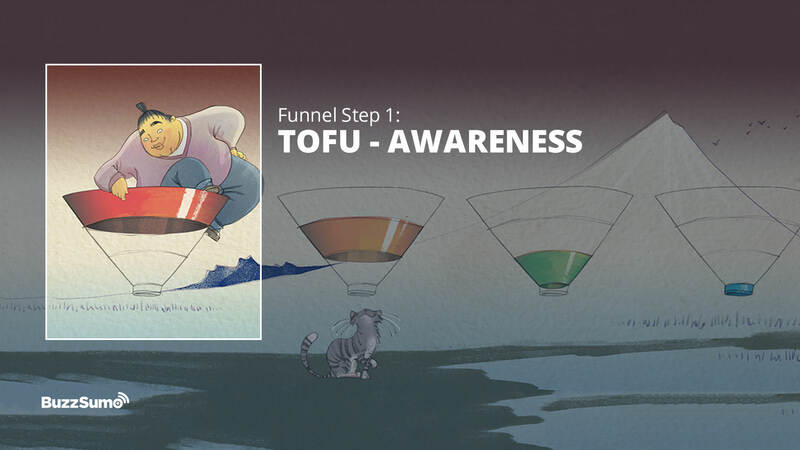 Top of the funnel (ToFu) focuses on brand awareness and site traffic. ToFu content grabs attention. 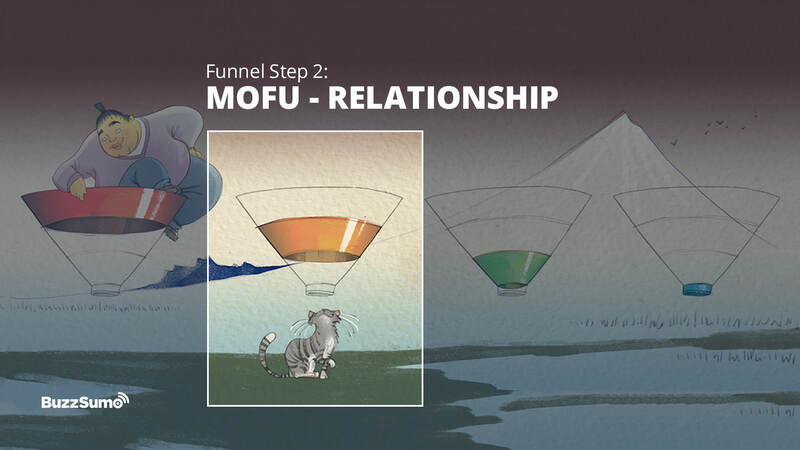 Middle of the funnel (MOFU) focuses on lead generation and nurture. MOFU content educates and informs. 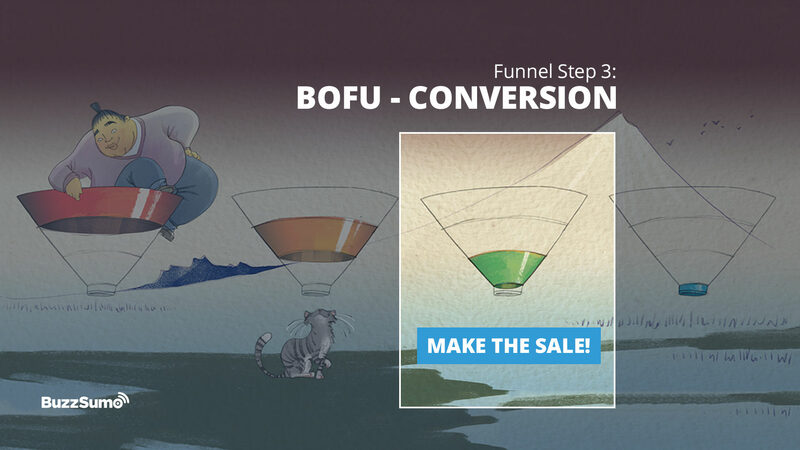 Bottom of the funnel (BOFU) focuses on conversion to paid service or product. BOFU content is personalized and product focused. What is the top of the funnel? 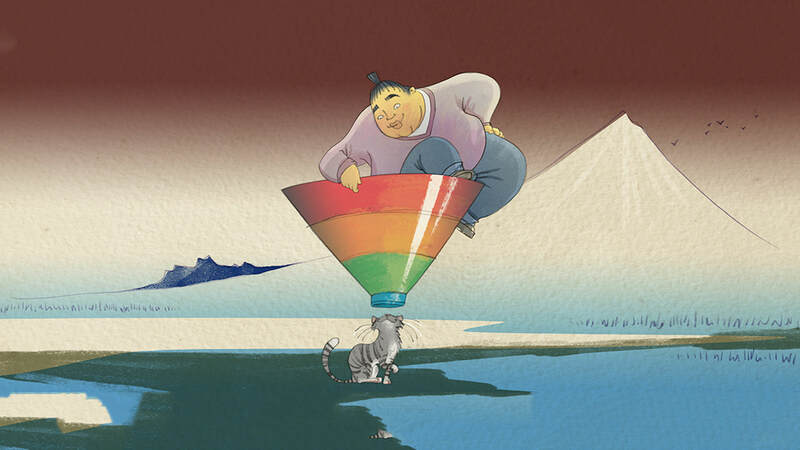 The top of the funnel is the first stage where you capture your audience’s attention. You want to make an impression with some type of value-add content. This content can answer questions or solve problems. It must be offered without asking anything in return. Brand awareness is the name of the game here. Disseminating your content to various marketing channels like social media networks is a good way to get your audience’s attention. What is the middle of the funnel? The middle of the funnel converts site visitors to sales leads. Once people have been introduced to you and have received some degree of free value from you, it’s time to convert them to an actual lead. To do this, present an enticing offer in exchange for permission to contact them, typically via email, so you can begin to “nurture” the relationship, building trust and rapport with the user. There are many ways to capture a lead, as you probably know. To keep things simple, we’re going to be focusing on the idea of email lead capture as the goal. What is the bottom of the funnel? The bottom of the funnel convinces leads to buy your product or service. In other words, once you have nurtured your leads, it’s time to convert them into actual customers. By now a lead has gotten to know your brand. They’ve gotten free value from you. You’ve emailed them useful, relevant information. It’s time to present them an offer that naturally transitions them into a paying customer. Converting leads to customers is tricky. It requires moving people from receiving free information to giving you their hard-earned cash. Personalization, which we will discuss later in this article, is important at this stage of the funnel. Why Should You Care About Creating a Content Marketing Funnel? According to a study done by Kapost, content marketing produces 3x more leads per dollar spent when compared to paid search. How is that possible? Well, it may have something to do with another fact. Content marketing (specifically creating blog content for your website) is the best kind of SEO you can do. Content Marketing leads to more indexed pages, more backlinks, and more reasons for your brand to spread via word-of-mouth. It’s like leaving thousands of little breadcrumbs all over the internet to guide potential customers to you. Content marketing rakes in conversion rates 6x higher than other methods. Pretty compelling reasons to create an actual content marketing funnel, right? It all begins with identifying the audience for the content. If you are planning to create content, you should first understand the target market and build a funnel that caters to their needs. The more details you can fill in about your audience, the better. What problems are they facing that your business can solve? What questions are they asking that your business can answer? How can you make their lives easier on a daily basis? Why is this step important? If your target customer is a 30-something stay-at-home mom, her needs are going to look much different than a 50-something single male nearing the end of his corporate career. The target audience for Buffer in this case is a social media manager struggling to keep up with the end-of-year content planning. 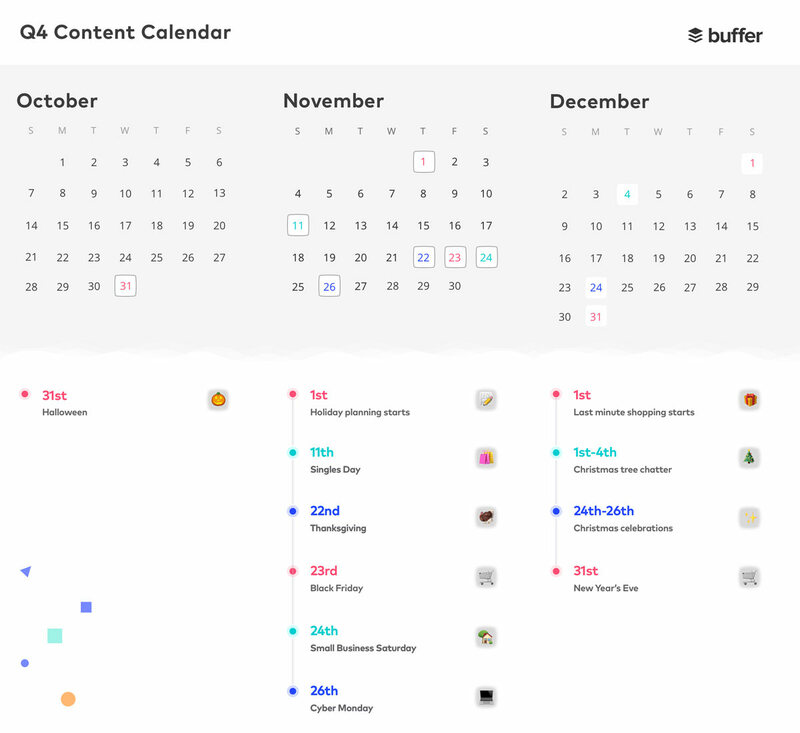 To solve that specific problem, the Buffer team created a Q4 content calendar for businesses. It identified the important dates to keep in mind for the rest of the year. The calendar is a simple thing, but incredibly helpful for the social media content manager who hasn’t yet finished their Q4 content plan. Now that you have identified the things that your audience is looking for, it’s time to create the actual content that will solve their problems. There is much to consider if you want to create successful content, so pay close attention. Once you have your target audience in mind, you need to know what types of content they are interested in. 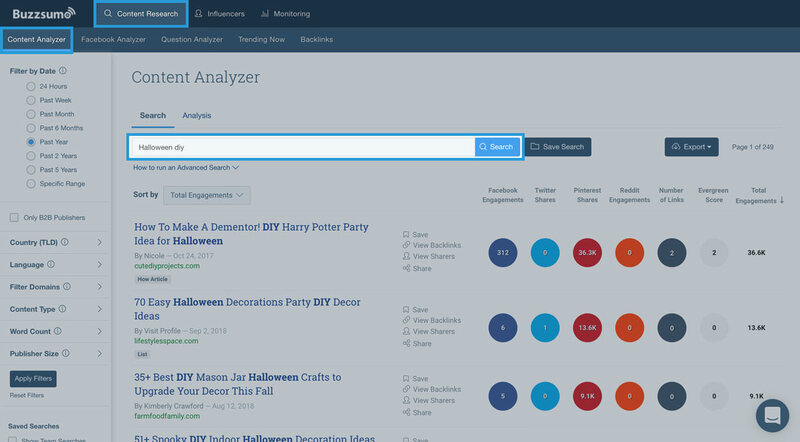 Use BuzzSumo to search for the topic of your choice over at the Content Research > Content Analyzer tab. The results show you the most engaging social content in your topic area. Social engagement indicates interest, making these results useful for identifying audience needs. You can then ride the wave by creating similar content. Alternatively, you can try a different yet related approach and create something that will be helpful in a way that previous articles have missed. Research is crucial in creating content that will actually be of interest to your target audience. By knowing what they’re already consuming, you eliminate a lot of the guesswork in creating new content. You should also find the top influencers for your topic and see what they are saying about the topic. 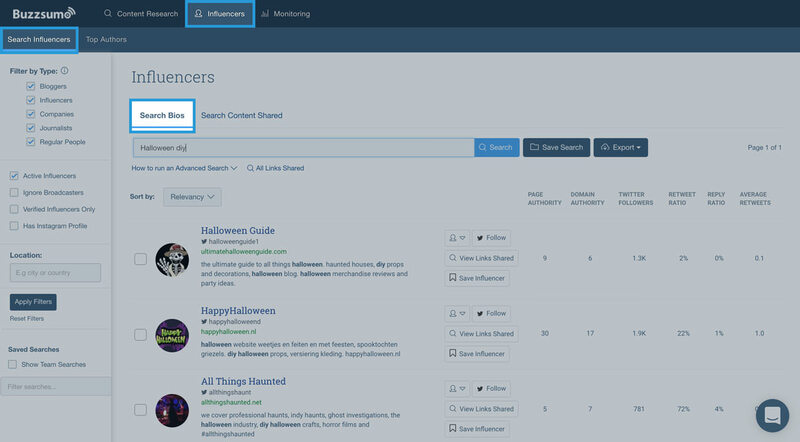 Head over to BuzzSumo again and search for your topic under the Influencers tab. There are two tabs here that will show you different results. Search Bios reveals the most popular influencers who are interested in your topic. If you are looking for people to follow or want to know who to check out regarding your topic or industry, then export this list. 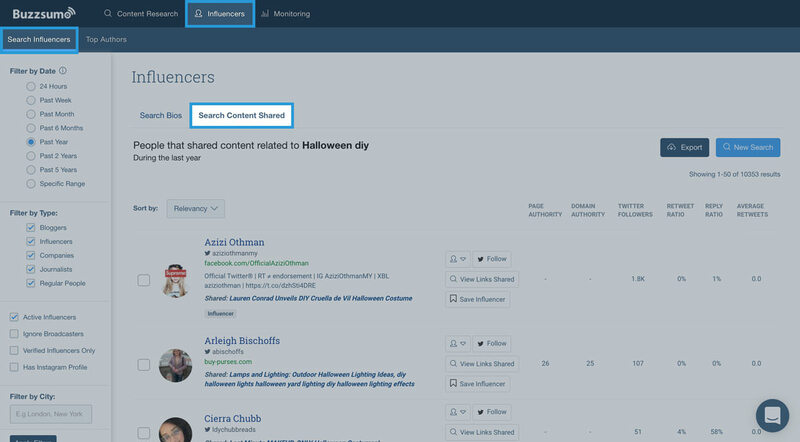 Meanwhile, Search Content Shared will give you a list of the most popular people who recently shared content about your topic. This is the one you are looking for since you want to create content that might get the attention of these people. By knowing what types of content influencers engage with, you can create something that they might also share with their audience. And when your content gets shared with an influencer’s audience, you get exposure to people who might never have heard about your brand before. You know, people from the top of the funnel! Now that you have a highly engaging topic, it’s time to craft the type of content that will get noticed by people. ToFu content focuses on reaching a wide net of people that might become prospective customers. Remember, attention is the goal here. Content curation – also known as “Clicking on the Share Button.” Social media content curation is the easiest type of content that you can create. It revolves around the idea of sharing posts on your social media accounts. This can quickly get “spammy” though, so make sure the content you are sharing has high value to your customers. And, add your own rationale for sharing. Blog posts – again, when done right, these can be incredibly powerful for SEO. Blog posts are also an effective way to display your expertise and help your audience. Making your blog posts highly shareable will help to scale your efforts further. Infographics – these are images that talk about a certain topic in a visually engaging way. They often show statistics and data in a way that is visually easy to interpret. Popular sub-categories for this type of content are listographics (lists in infographic form) and instructographics (“how-to” articles in infographic form). The latter is incredibly powerful on Pinterest and can potentially drive hundreds of thousands of visitors. Videos – these take some time to make, but if done correctly, they can dramatically increase conversion rates. Podcasts – Podcasts can be described as modern versions of radio shows. Podcasts can be transcribed to create blog posts that can target your keywords. Of course there are other ToFu content types. But if you’re just getting started, these are the easiest formats to work with. The best types of content for the middle of the funnel are educational resources. You get bonus points if you can also make them highly shareable (pulling more people straight to the middle of the funnel). The main objective of this content is to capture some contact information from the user. This is how we’re going to begin to nurture the relationship with them, eventually leading to the bottom of the funnel. So whatever this content is, the only way the audience can get it is by giving you their email address. This type of content is often called a Lead Magnet. It’s a win-win situation. The person gets an amazing resource; your business gets a lead. for the person who has an amazing resource, and for your business who is getting a lead. Important Note: Ever since the EU begin enforcing GDPR regulations, be sure you read up on best practices for email lead capture. White papers – these are fact-sheets that provide statistical data or an academic style report. White papers help convince your audience that your product or service can be a solution to a certain problem. Case studies – these are another data-driven form of content. Case studies often include statistics and other data that are gathered at the end of a test or a project. Free guides or ebooks – these are “How-to” articles that help your audience solve a problem. Remember to describe how your product or service helps customers to achieve a more efficient solution. Think “utility” when coming up with a Lead Magnet. What can you give to your audience that will provide real, tangible value? It should be something they can use right away. Bottom of the funnel content, as we said before, should be very “personal.” This content should bridge the gap between the free value you’ve been giving them and your paid product offering. This type of content is best delivered via email autoresponder sequences, and it can be sent to people who provided their email addresses in order to get the Lead Magnet described above. Email sequences build gradually and connect the dots little-by-little, from the original problem to your product’s solution. Once the dots are connected, you can ask for the sale. Moz has created a great guide on how to create winning CTAs. It’s worth bookmarking to help you refine your calls to action in email sequences. Some MoFu content can also be used here, but it needs to be “interactive”. Again, it is all about personalizing the experience your would-be customers are going to have. The most popular type of content for this are demos or trials. Since your service or your product is a form of content the natural progression should lead to the audience actually using your product. Testimonials from your satisfied customers: You can create a series of emails where customers tell their victory stories (case studies). Tailor the story to include the customer’s process before they were using your product or service and what changed after they started using it. Webinars and advanced classes: You can also hold advanced classes for your audience or offer events for those who are already familiar with what you do. These take time, but providing an answer in person for a lead increases trust and desire to purchase. Free discount codes: Provide your audience with discount codes they can use for their purchase that will work “for a limited time only”. This will trigger urgency to buy your product. Your content marketing funnel does not end with converting your audience into customers. This is where most businesses fail to follow-through, leaving money on the table. We believe the customer journey goes further than the sale. What you need to do now is to restart your funnel! Keep the cycle flowing, and let your customers help you this time. Your content marketing funnel is also a great retention and advocacy tool! If you’ve done a great job, that new customer will continue to want your free ToFu content, and they’ll be even more likely to share it with their friends, family, and coworkers. Give discounts on their next purchase to customers who refer a friend. Provide trial codes to customers that they can give to their friends. Give exclusive content to your customers that they can share with other people. Never underestimate the power of proper customer service! By catering to what your customer needs to make the most of their purchase, you are showing that you care about them. Ask customers what you can do to provide better service, or ask for suggestions if you are making a new product. This involves your audience more, and people often want to opportunities to be involved. Businesses that provide excellent customer service are highly talked about on social media, and that is the best way to fuel the top of your funnel! Creating a successful content marketing funnel is not easy. It takes work and discipline to pull it off. If you try to focus on your audience rather simply dishing out content, you can create a system that will be highly beneficial for your business. And if you haven’t grabbed it yet, don’t forget your copy of our Content Marketing Funnel Worksheet so you can start building your own funnel today!